In Dan Brown’s long-awaited new book, we learn many things — about Freemasons, the CIA, fifteenth-century engraver Albrecht Dürer’s employment of Sudoku. But most important, we learn, as Brown asserted during the book launch last night, that “italics are underrated.” In the book, these gently tilted characters create a running interior monologue; together they form a Beckettian stream of consciousness that underlies the fast-paced thriller, proving that rushing waters, too, can run deep. 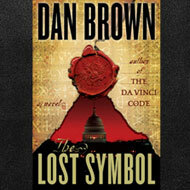 Here we offer selected, italicized Thoughts — mostly those of Robert Langdon — in The Lost Symbol. I woke up this morning anticipating a quiet Sunday at home … and now I’m a few minutes away from the U.S. Capitol. I dressed for a lecture, not a four-hundred-yard downhill dash in the rain! Someone left a mannequin hand in the Rotunda? You’re a teacher, Robert — improvise! Who the hell wears a pocket square to the DMV? Ancient portal? Secret location underground? The CIA? The Architect of the Capitol? Two Thirty-third-degree Masons? An angelic electrician holding a telephone? A cherubic entomologist with a specimen box? I need that pyramid and capstone … and I’m running out of time. Why in the world would someone … ? Jesus, where the hell are my clothes? Concealed within those pages, there hides a wondrous secret.